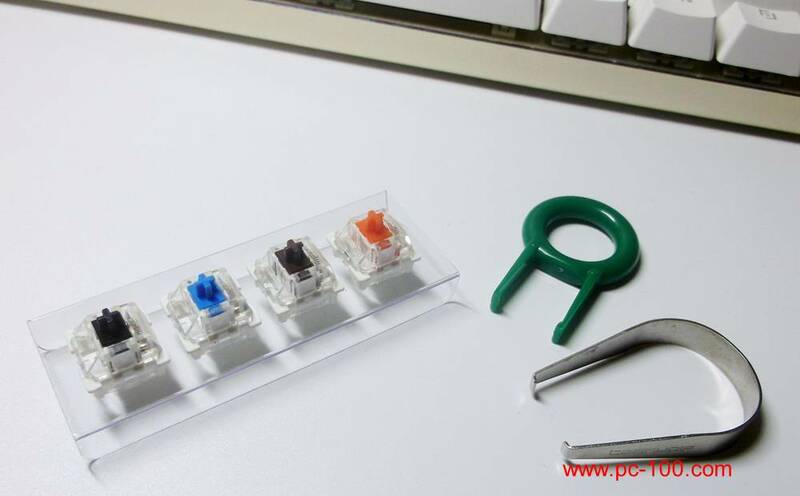 Switches made in China had been applying in mechanical gaming keyboard for several years, mechanical keyboards, whose price was expensive before, are now affordable for popular users for the no longer high price. Compared with the feel of a single membrane keyboard, users love mechanical keyboard for its touch feeling and several types of optional switches. 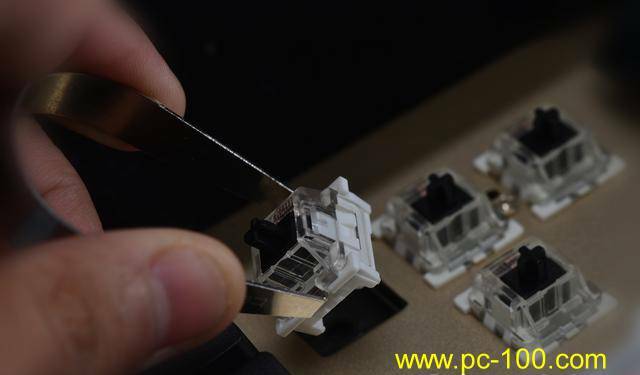 Removeable and replaceable switches of a mechanical keyboard is a great feature, skills of removing and fixing mechanical switches are essential for a mechanical keyboard player. It was a very complex process to change a switch on mechanical keyboard in the past time, sometime if a switch were damaged or you just wanted to replace your black switches with blue switches, or when you DIY the switches of your mechanical keyboard, you must use the tools as soldering iron and solder sucker, skills of welding are necessary, at least tens of minutes needed to finish the operation. Even so, it’s not guaranteed that all switches are well welded and keep good electrical connection, it’a really a tiresome thing to replace a mechanical switch! It’s a difficult and complex process to remove or fix a switch for mechanical keyboard. 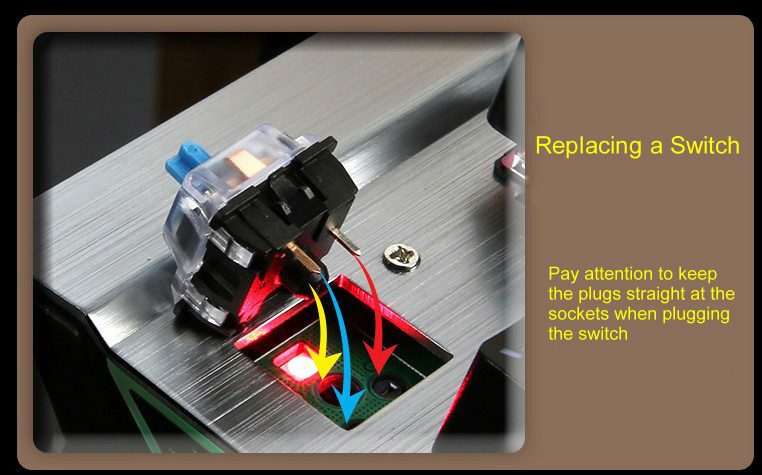 Now, pluggable switch (plug-and-play) makes this process very simple! Users may remove and replace switches on the mechanical keyboard easily, this greatly save your time on repairing, welding…, users may finish this action without any special skills needed, all you need to do is just “pull and plug”. 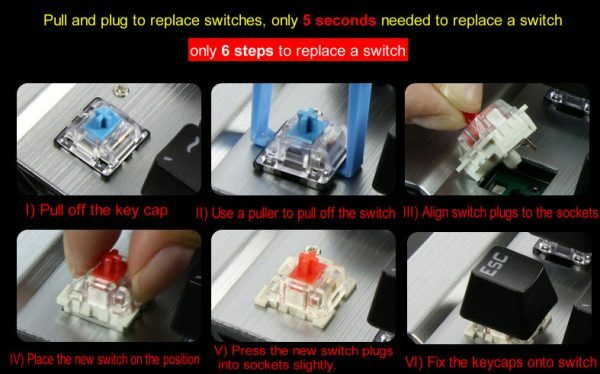 Pluggable switches can be easily removed from mechanical gaming keyboard and be easily plugged to fix. 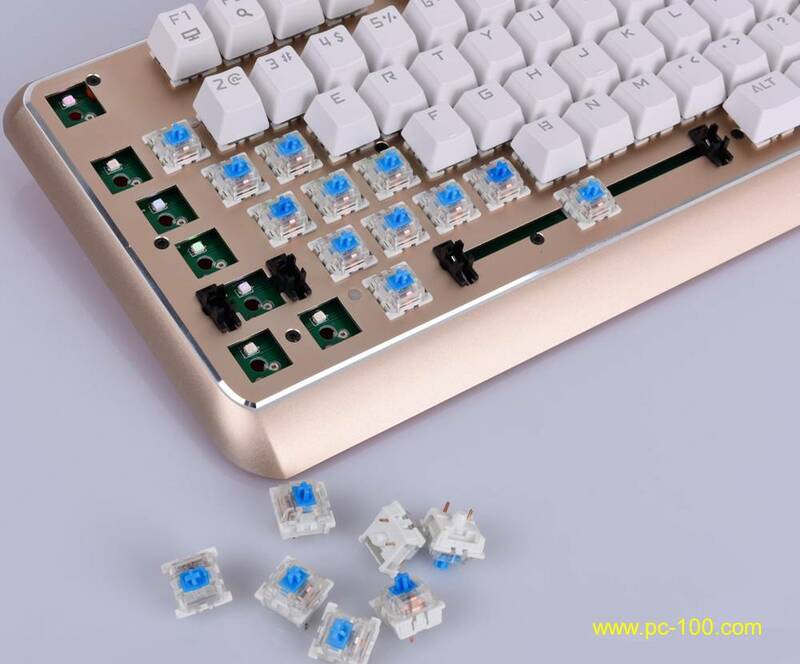 Pluggable switch is not welded with PCB, it connect with PCB by its plug and the responding socket welded with the mechanical keyboard PCB. At first, you should buy a mechanical keyboard with pluggable switches, and then you should have new switches, key cap puller and switch puller. Pull off the key cap, then pull off the switch, and then plug new switch and key cap, that all, it’s so easy! 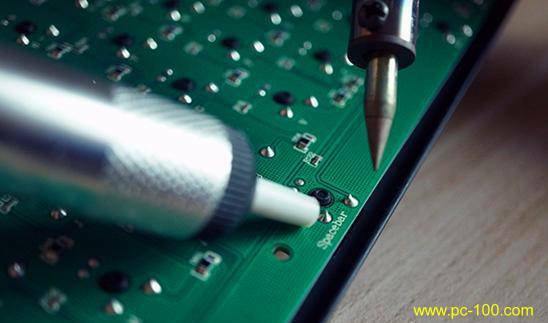 During the whole process, you needn’t welding or remove all keycaps and the panel.